Normally I am a huge fan of Omaha business and anything dog. 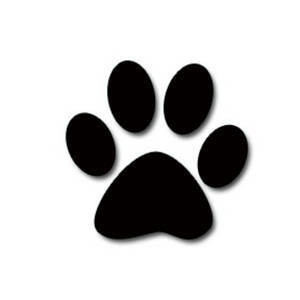 Petland, at least here in Omaha, and in many other areas of the country, received its puppies from puppy mills. Their semi trucks came to deliver the puppies to 120th and Center during the night, I assume so as not to disturb the puppy lovers. Maybe just because it fit their schedule best though. I am SO happy they are leaving. I wrote about pet stores and puppy mills on Life with Dogs on August 22, 1011. One of my “New Year’s Resolutions” last year was to shut down puppy mills everywhere. That, of course, is silly and overreaching and NOT a one person goal-not even something one person can decide or maybe even influence. So please join me in re-resolving this year…Silly, overreaching and group goals are three of my favorite things. This was confirmed by Petland of Omaha. Thank you to Jessica Kamish of Pug Partners of Nebraska and Green Spot Omaha for the great news this morning! Yes, I have been looking forward to the Pet Blogger Challenge since last year in a way, but consciously, since in was announced December 20, 2011. Still, it snuck up on me. So instead of folding laundry, I am doing this super fun project. Because I love you. A huge THANK YOU to Will My Dog Hate Me and Go Pet Friendly for hosting this second annual Pet Blogger Challenge! The beautiful button is from This One Wild Life. Yes, I am still trying to promote preventative care of pets in order to enrich the lives of pets and their people in everything I write. The methods and places I write have changed, but my goals are the same. Since then I have found myself posting for fun or when I had something I wanted to say (which I did before, but I also became overly concerned with numbers, I thought.) So though it would take one phone call or email to my super awesome webmaster, I have not looked at stats for several months, and do not plan to soon. I have met incredible people through Riley and James, and though it is so fun to reach a large audience and track that, I love the individuals I have met even more. No, but what has changed is I have been invited to write a weekly article for Life with Dogs and invited to be on the Veterinary Economics Editorial Advisory Board and do a few other very fun, rewarding projects. I had planned to have a very “boring” 2011. Our Piggy the Guinea Pig then Ebony Dog then Princess Gerbil all passed away early in the year while we were still reeling from losing Fuzzy and Wuzzy Rats in the fall of 2010. So much of 2011 was spent processing my grief in the blog. To ALL of you I say loudly and sincerely, “THANK YOU!” for seeing me through this past year. As I was writing about Ebony over and over and reconsidering my commitment not to use “colorful” language on this site and life was getting back to “normal” a bit, I decided I needed to quit my job – the second best decision I made all year – and I started working at Gentle Doctor – the BEST decision I made all year. Also, Goodwill Youth Build was not able to maintain funding to keep my husband Russ on full time and so he left Goodwill and started working at Paul Davis Restoration about the same time I switched veterinary hospitals. F* boring! (*Forget boring!) 2011 laughed at my resolution to have a boring year. Who’s laughing now 2011? Our life is awesome! I am happy. Who knows?? I am hoping for a wonderful, full, rich year. I do believe that can all be accomplished with no major life changes, and just steady, day-to-day contentment, you know, boring. I do believe 2012 is in good hands, and we will see where the year takes us, huh? So glad I have all of you to do that with! Thank you for your wise words Stan Parker! I do work for Carefresh, and have written for Veterinary Economicsand Firstline. I do not think I would have met any of the wonderful people involved with those groups if I had not been writing online. My weekly article on Life with Dogs this week is about some of the weaknesses of the “A Dissatisfied Client Tells Ten People” mantra, often held up as set in stone, a warning to be feared and remembered. which my Aunt Jeannine now needs, so I will find it for her. She would look super cute in it, though she is not in the least bit grouchy. Also, she lives in Florida. Lorie Huston, DVM wrote a wonderful article, also published yesterday, expanding on some of my ideas and also discussing how the internet affects word of mouth marketing. 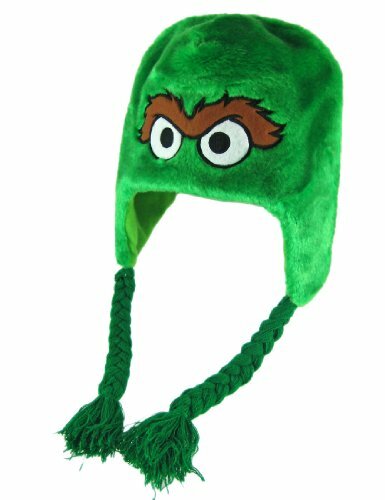 Someday I will tell you why I love this hat so, and chose it for my article, besides the obvious – it is a super awesome Oscar the Grouch hat! And we are discussing grouchy clients. For now I will say, hats like this look super cute on little girls and women. A fun, friendly guy could also rock this look. A horrible, threatening bully stomping around spewing hate, lies and venom wearing a super cute bright green hat (not an Oscar hat, that would have been even better…) just looks ridiculous. If you see him, tell him to take the hat off, sit down and shut up. Hmm…sounds like someday is today. That was my whole story.